Not all of us actually enjoy the beginning of the working week. Some of us can slip back into the routine without any issues, whereas others need a little bit more of a push to embrace the week ahead. 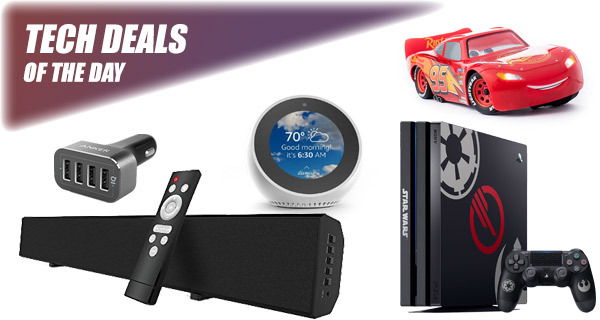 Well, as we always like to be of service, we have put together another collection of hand-picked technology deals which will entice you out of the weekend by offering money-off a range of wonderful products and accessories. Enjoy, and make sure to get stuck in. We’ll be starting off with a brilliant $50 off on the Limited Edition PS4 Pro Star Wars Battlefront II bundle, which means you can grab the 1TB console complete with the decal and game for just $399.99. Next up is a 4-port 48W USB car charger with fast charging for under $12. Sphero also throws its Lightning McQueen app-controlled robot toy car into the mix with discount of over 50%. There’s also a wireless TV Sound Bar as well as the useful Amazon Echo Spot which when bought as a pack of two, will get you a $40 discount on the total. As always, make sure you grab the product of your choice quickly before the offer expires or stock runs out. Enjoy the savings! If you need to get some quick power into your Android or iOS-powered smartphone whilst you are on the move in a vehicle, then this the highly affordable little gadget that you need. Simply plug it in, use the relevant USB cables for your device, and you can get 4 devices charging at any given time. 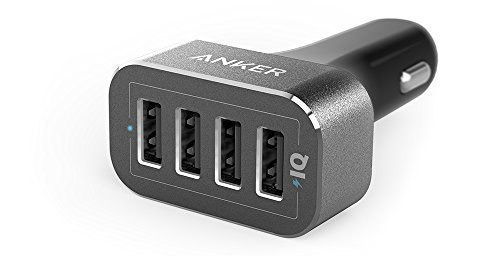 Best of all, the charger can be yours for just $11.99 by using the following promo code at checkout: ANKER312. 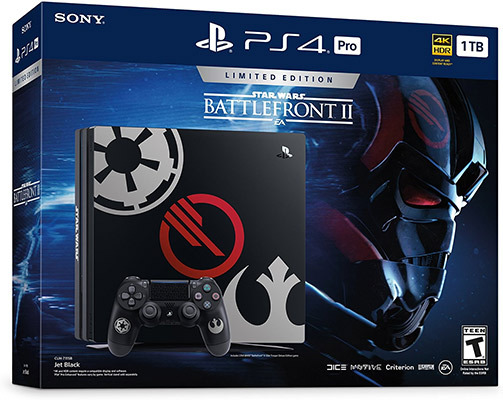 If you love Star Wars then you are really going to need to take notice of this limited edition 4K-gaming capable Battlefront II PlayStation 4 Pro. The hardware itself comes themed, which means you will have a unique option. It also comes with a DualShock 4 controller and the critically acclaimed Battlefront II game for your playing pleasure. 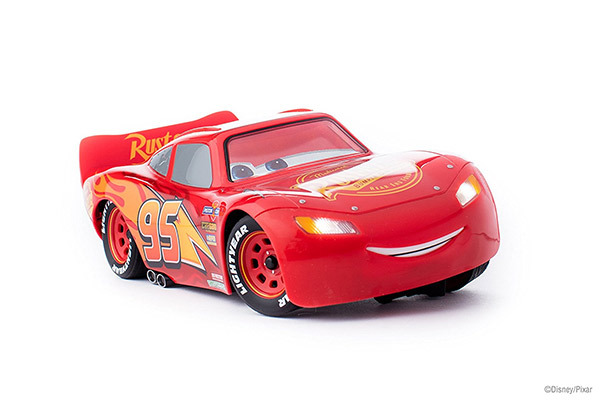 Lightning McQueen is one of Disney Pixar’s most iconic characters after the success of the animated Cars franchise. This thing is packed with technology, including 6 motors, LCD eyes on the front of the vehicle, a custom speaker and an ambient light sensor to enhance the experience. Get the accompanying mobile app and you have endless hours of fun right in front of you. If you need to enhance the sound quality in your home but don’t know where to start, then this is where you start. This Mighty Rock Sound Bar comes with dual 15w speakers for a crisp audio experience. It’s also easy to operate and set up and comes with a wired or wireless experience depending on your requirements. Get it for discounted price using following promo code at checkout: NQAW7YVY. Amazon’s latest Alexa-powered gadget probably doesn’t need any introduction. 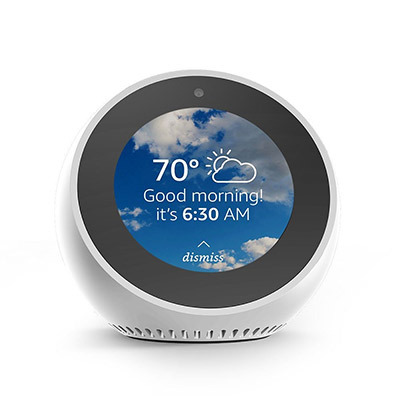 However, the Spot is the latest small gadget to be added to the range, coming complete with Alexa integration, second-generation far-field voice recognition, and even the ability to get involved with wonderful video calls thanks to its camera and circular display. And, as a bonus, if you add 2 of these to your cart, you’ll receive a $40 discount.